In the world of make up today people think that it is used to cover up insecurities and hide from what they really look like. What a lot of people do not realize is that to some people makeup is a passion. It’s something people enjoy doing because they like to do it, not because they have too. They don’t care about going out bareface, because they understand their worth and their beauty behind it all. Three makeup instagramers people need to start following are Shalom Blac @shalom_blac, Kaitlyn Dobrow @kaitlyndobrow, and Marimar Quiroa @makeupartistgorda66. 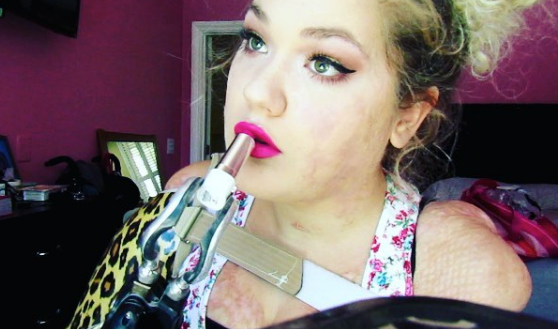 These three makeup defy all beauty standards and are an inspiration. They accept their beauty and realize that the opinions of today's modern world do not matter. They are who they are and they love themselves. We need more people like this in today's world and I have a feeling these three are just the beginning of an amazing eye opening experience for all makeup enthusiast everywhere. Shalom is a burn survivor. When she was nine years old, she was burned by hot oil while sleeping outside her moms stop in Nigeria. She then fought along with her aunt to get over to the United States so she could receive the medical care that she needs. If you want to see more about here story, here is a link to her YouTube channel. 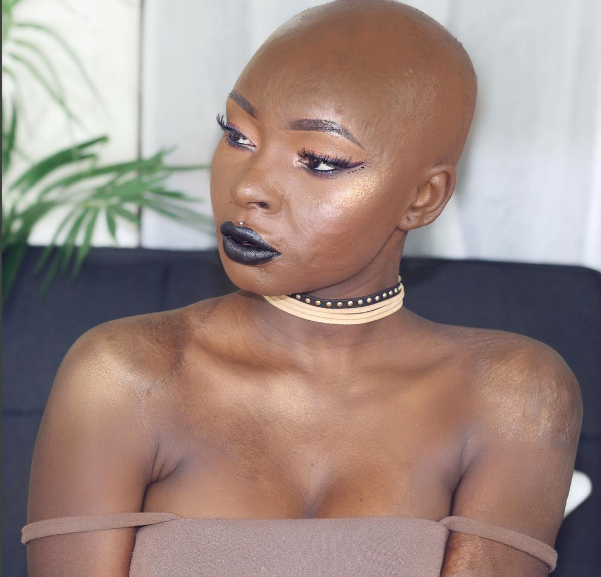 Due to the burns she received mostly on the upper half of her body, she is bald. Unable to grow hair many people would be embarrassed and ashamed to show off their head without a wig. In most of her post on instagram, she is not wearing her wig. She’s loving the love that she has and dealing with what the world has dealt her. Her youtube page goes from hair, makeup, to outfits. Shalom’s channel is a one stop shop for anything beauty related! Kaitlyn is such a down to earth youtube and Instagram star that you can’t help but sit back and relax and just laugh along with her while she’s talking! She has no shame in who she is and is beyond open on her life. She’s genuinely beautiful inside and out and has one of the most amazing stories I have ever seen. When Kaitlyn was 18 she got very sick. Assuming it was just the flu she kept pushing it off, but in the end, the flu would of been a walk in the park compared to this. She was diagnosed with Bacterial Meningitis, which resulted in her losing all four of her limbs. Both her legs were amputated in the same place, making prosthetic legs possible. She had both of her arms amputated, but she gets to rock one cheetah print prosthetic arm on her right side! She’s an amazing inspiration that everyone needs to take the time to look at. If you want to learn more about this inspiring women's life and achievements, here is the link to her youtube channel! This girl is such an inspiration! Though I could not find an exact backstory on her like I did everyone else, you have got to check this girl out! First of all, her makeup is completely flawless. Being unable to speak, she uses sign language to communicate, which you can see here on her YouTube channel. Not only is her makeup downright amazing, her outfits are literally so beyond cute, I can’t get over them! She has no problem sharing every aspect of her life, from the TV shows she has been on, to posting videos of herself eating through her feeding tube. This girl is amazing and doesn’t accept any boundaries or limitations. She is truly amazing and I can’t wait to see more from her.